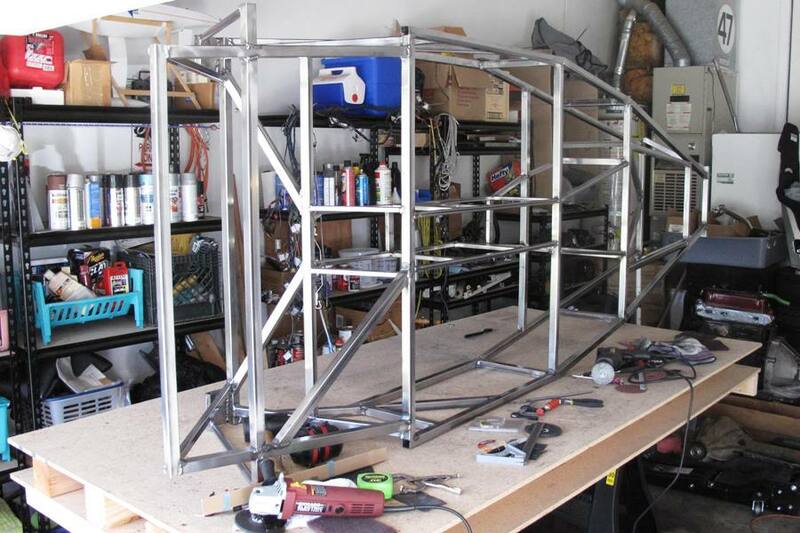 As we learned in our last episode, welding a Locost space frame chassis is not a one-day job. It may not even be a one-week job. 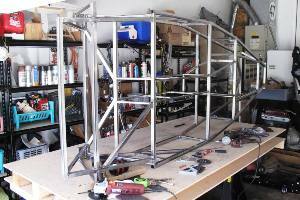 The frame needs to be welded in four separate stages: top, bottom, and each side. Most of the 75 or so tubes that comprise the frame need to be welded at both ends, which means, if I did the math right, we have to make close to 150 welds during each stage. We also have to grind down about 30 old tack welds before we start each stage, and wire brush each joint prior to welding. Another task we have to undertake in each stage—and this probably doesn't apply to everyone—is grinding down a dozen or so completed welds that are less than optimal in appearance, and welding them again. Yes, I know, we thought we could live with the ugly welds. A lot of them would've been hidden by body panels, and welds on the bottom of the frame wouldn't show at all. The problem is, ugly welds, like Glenn Close in Fatal Attraction, won't be ignored. You'd always know they were there. So we're getting rid of them and replacing them with the latest version, weld beads 2.0. Bottom line, welding the frame is a major task, and not always a fun one. You'll go through multiple cylinders of C-25, and use up the better part of a 11 lb. spool of .023 welding wire. You'll probably need to change the helmet faceplate at least once, and your eyes will get pretty good at seeing in the dark. Your welding will also improve, although not so much that every bead will be perfect. Hence the grinding. We're pretty sure the neighborhood is not terribly happy about it, because grinding mild steel is quite likely the loudest noise in the universe, right up there with Harrier jets and small babies on airplanes. However, we wear earplugs, and I'm sure all our neighbors would agree that the improvement of the welds in looks alone is more than worth the minor disruption of a quiet Saturday afternoon. Not all of the flattened beads need to be welded again. Some of the joints have to remain smooth because they'll be covered with sheet aluminum, and any bumps would show. The book says to be careful about removing too much of the bead in these cases, but it seems to us that you have to remove all of it. It's not like the metal isn't still fused together, and the frame bottom will be reinforced by the steel floor, so we're not concerned about any of those joints. But eight welds on each side and four on the rear bulkhead are going to have to be ground to the nub. Welding will continue for the next few days with the frame on its side, hitting each of the 150 joints from a different angle. We're a little concerned about doing one whole side at a time, so we're flipping the frame from side to side, welding only about 2 dozen joints each time, to try to avoid any distortion. The frame is pretty solid at this point, but we don't trust that it'll stay that way if we heat it up a lot. 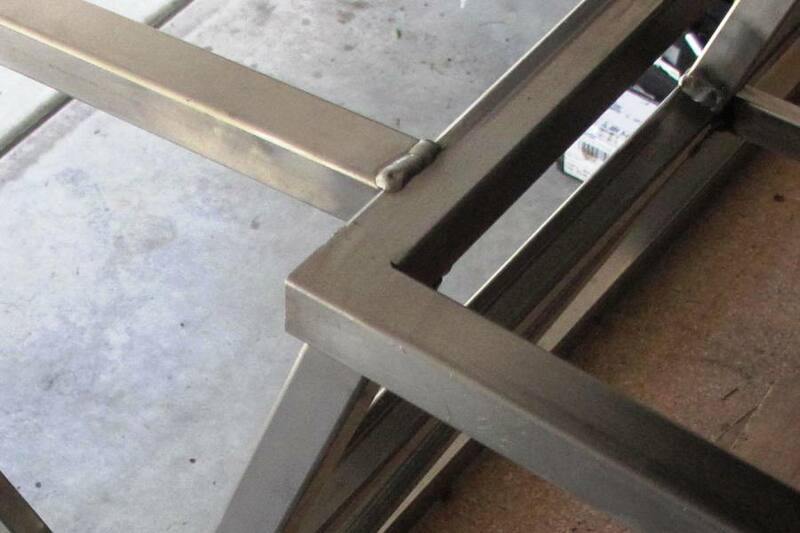 When we welded all the joints on top, which was the first thing we did, we put a slight bow in the frame. It wasn't much, about 1/4" across the length of the frame. Welding the bottom took out most of that bow, but not all of it, leaving the frame maybe 1/16" lower in the middle. It's not really noticeable so it's not a big deal, but a bow side-to-side might be. So just to play it safe, we're taking turns welding the sides.